Cuisinart 8-Quart Stockpot Just $34.86! Down From $100! PLUS FREE Shipping! You are here: Home / Great Deals / Amazon Deals / Cuisinart 8-Quart Stockpot Just $34.86! Down From $100! PLUS FREE Shipping! Don’t miss your chance! Amazon offers this Cuisinart Chef’s Classic 8-Quart Stockpot With Cover for only $34.86, down from $100.00 PLUS FREE shipping! 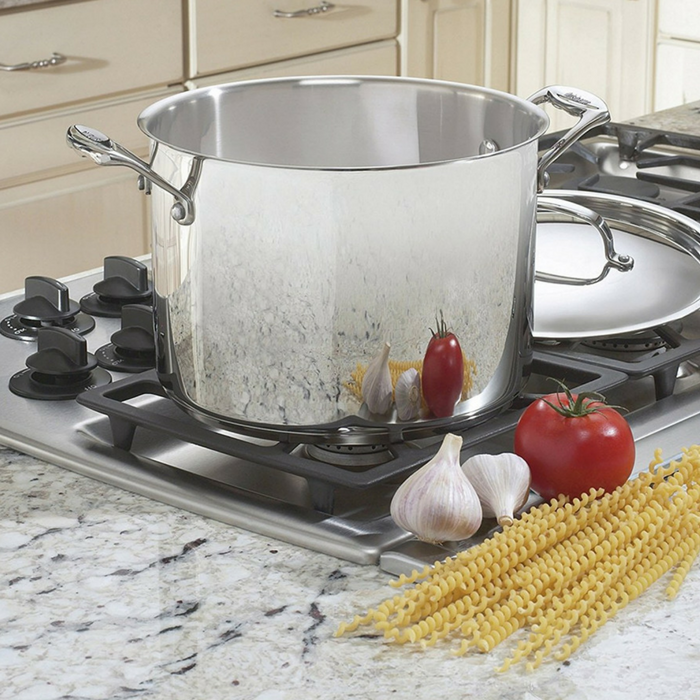 This Cuisinart Chef’s Classic 8-Quart Stockpot With Cover features a classic mirrored finish, meaning your rigatoni sauce or hearty beef stew will not only taste great but will look swanky on the stove. And who wouldn’t want cookware that looks and cooks this good? This stockpot is ideal for everything from making large-batch soups to boiling corn on the cob to simmering stock. The flavorful results speak for themselves! Features a stainless, mirror finish. Gives an unsurpassed heat distribution. Aluminum encapsulated base heats quickly and spreads heat evenly. Eliminates hot spots. Tight-fitting cover seals in moisture and nutrients for healthier, more flavorful results, every time you cook.